Palestinian President Mahmoud Abbas on Wednesday rejected the U.S. political plan referred to as “Deal of the Century”. The deal suggests, according to Andalou/Al Ray, addressing the Palestinian-Israeli conflict by forcing the Palestinians to make concessions, including the status of East Jerusalem. “We are the first to stand against it [the American deal] and we will continue to do that until we bring it down,” Abbas said at the opening of the Palestine Liberation Organization’s (PLO) Central Council in Ramallah. On another subject, Abbas said that Hamas had no intentions to achieve the Palestinian reconciliation. “In principle, Hamas does not have the intention for reconciliation and there are some who do not want it while others think it is a humanitarian issue as if the suffering of the people Gaza started today,” the president said. 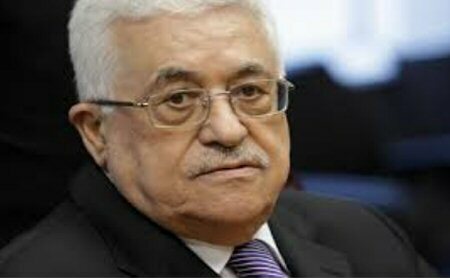 Abbas also rejected Israel’s deduction in the amount of money provided by the Palestinian Authority to the families of martyrs and prisoners from Palestinian tax funds. Hamas, which has governed the blockaded Gaza Strip since 2007, along with Islamic Jihad, the Popular Front for the Liberation of Palestine (PFLP), and the Democratic Front for the Liberation of Palestine (DFLP), have all boycotted the meeting. The PLO is an umbrella group that includes most major Palestinian political factions, with the exception of Hamas and Islamic Jihad, both of which are committed to a policy of armed resistance against Israel’s decades-long occupation.